 Wow, awesome graphics Titan, nice job! 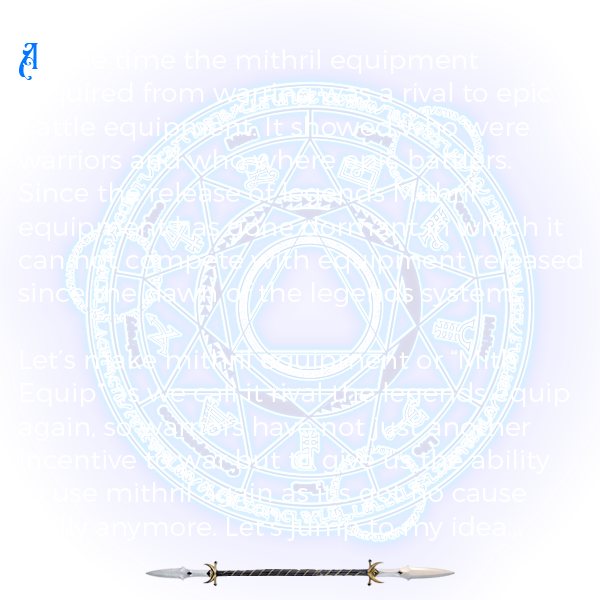 Im not one that wars, but having seen all the request/complaints about war and seeing how kaw seems to be working on it, I would think bringing war equipment back in the picture as well would be a great incentative and would make mith prevalent again besides hitting SR and changing name color!  Incredible high effort on the art work!   I think that the mithril equipment (or in general equipment acquired through warring) should be stronger than the equipment acquired through EBs / Events.  Support, very thought out idea.